Don't let the weather slow you down this season. Bundle up and stay streamlined with our guide on what to wear while road cycling in cold conditions. Don’t let the weather stop you getting your regular rides in over the winter months. Winter training is a great way to stay fit and improve your performance on the road bike for next season, whether you are preparing for a race, your first sportive or looking to pedal to the office that little bit faster. There is heaps of fantastic winter cycling kit available for those of you keen enough to keep on pedaling come rain, sleet or snow, but there are few key items that any dedicated roadie will want in their winter cycling wardrobe. Getting your base layer right is crucial to staying warm and comfortable on the bike during those chilly winter months. Choose a vest, short sleeve or long sleeve base layer according to the air temperature outside and make sure it fits snugly, but is comfortable and allows you to move freely. A high quality base layer will not only keep you warm, it will also wick sweat away from your skin to prevent you getting even colder later on in the ride or when you are cruising at pace on the descents. 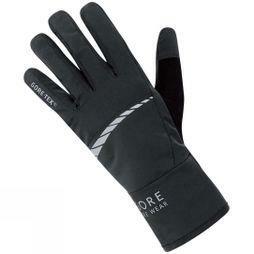 Merino Wool is especially good for this and provides lightweight, soft, breathable and odour resistant insulation. 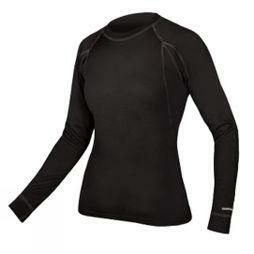 Depending on how cold it is and how hard you will be riding, your next layer might be a long sleeved jersey. Look for a fit that is snug but not too tight so you don’t restrict your movement or blood flow. A high collar will help to keep your neck warm and long cuffs will stop your wrists getting cold. Always make sure that the sleeves are long enough when you are in your normal riding position with arms outstretched to the handle bars. A long drop on the lower back hem will also help to keep your back warm. During the winter months you’ll probably need both a waterproof and windproof jacket to cover all weather conditions. Road cycling jackets come in lots of shapes and sizes but look for a style that is slim fit to prevent drag from flapping material and a lightweight and breathable fabric that prevents water from soaking in and keeps the wind chill at bay. Just like with your mid layer, a high collar, long sleeves, long cuffs and a long tail will help to keep any rain or cold air out. You might also want a jacket with good deep pockets to carry lots of food and an extra mid layer in case it gets really cold. 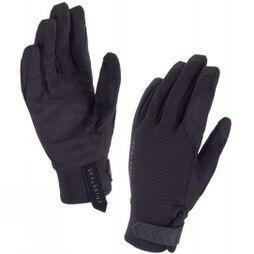 Long easy-to-grab zips will also help you to regulate your body temperature quickly and easily whilst riding. Take a look at our Guide to Cycling Jackets for more advice. A good pair of winter riding tights are a worthwhile investment for any winter road cycling. Bib tights especially will keep both your legs, core and back warm and cosy. Some tights will have a built in chamois but some riders choose to wear their regular padded shorts underneath for added layering and warmth, in which case, non-padded tights will be better to prevent chaffing. For the best insulation look for fabrics with good windstopper qualities, a fleece lined Roubaix fabric and water resistant treatments to help repel the rain. On really cold days you’ll need a bit more protection than just your cycling helmet whilst out on the road. A traditional road cycling cap will provide moderate warmth and the peak will keep rain and splashes out of your eyes. However, for optimal defence against the cold, wear a thermal skullcap that covers your whole head and ears. Plus, if you have an aero helmet without vents this can help keep the cold air out even more. Losing feeling in your fingers due to the cold is one of the most common problems of winter cycling so make sure you are well equipped with a decent pair of winter cycling gloves. Moving at pace the wind chill will feel bitter against your fingers so look for gloves with windstopper fabrics and water repellent coatings for ultimate warmth. You should also look for long cuffs to ensure your wrists are well covered and if it’s really cold you can layer up with a pair of undergloves for added protection. Just like fingers, toes are very susceptible to the cold and chilly extremities can often lead to numbness. It might be tempting to wear really thick socks to try and keep your feet warm, but this can actually restrict your circulation and lead to poor blood flow. 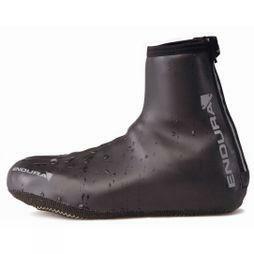 A better way of keeping your feet warm is with a pair of cycling overshoes. These are covers which literally wrap around the whole of your whole cycling shoe with a small hole underneath for the shoe cleat to poke through. There are various styles to choose from but the best will be constructed from windstopper fabrics or neoprene. You may think that cycling glasses are just for summer riding, but a pair of low light or clear lenses will make the road ahead much clearer to see and you’ll protect your eyes from any road dirt or slashes that spray up into your face. If you are riding in low light conditions or at night, high visibility cycling clothing will make you more visible to other road users. Choose from bright fluoro jackets and jerseys and look out for reflective panels on winter tights, overshoes, jackets, gloves and helmets to make sure you are seen on the road. It can be tricky choosing the right pair of clip-in shoes for your road bike. Here's everything you need to know before you buy.